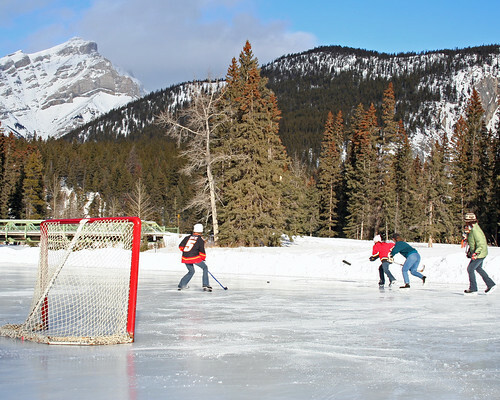 Could Vancouver Island Be Home To Kraft Hockeyville 2011? It’s no secret that Canadians are passionate about hockey. We’re raised to be stick toting, puck chasing, goal cheering fans whether we play the game or not. From the bantam level to the NHL, it’s Canada’s sport and we don’t let anyone forget it! Each year Kraft Canada kicks off the NHL season with a little friendly competition between communities, allowing towns across this great country of ours the opportunity to win up to $100,000 for arena upgrades. There are also prizes of $25,000 for four runner up communities. Vancouver Island is home to more arenas than you can shake a stick at, so it seems to me that naming one of our Island’s communities as Kraft Hockeyville would be a no-brainer. If you want to give your town a shot at winning the grand prize, simply log in at Kraft Hockeyville Online to nominate your community. Nominations must also include a short essay (maximum 4,000 characters) and between one and three accompanying photos showing your town’s hockey spirit. As in past years, a handful of NHL players have signed on to represent as ambassadors. Vancouver Island and the Pacific region are being represented this year by Calgary Flames forward Brendan Morrison! Entering communities have until January 30, 2011 to submit their application. The top ten communities will be announced on March 8, 2011 on the CBC’s Kraft Hockeyville show before viewers can vote on the five winning communities. In addition to the generous cash prizes, the top community will also win a 2011/12 NHL® pre-season game played at their local arena plus a special CBC’s Hockey Night in Canada broadcast from their community! Get your entries in now! Find Kraft Hockeyville on Facebook or follow the event on Twitter. Today is the last day to enter to win a custom-designed skateboard deck exclusively from Keira-Anne.com and The Crew. Click here to get your entry in now!